"I do not believe that piracy can be stopped." 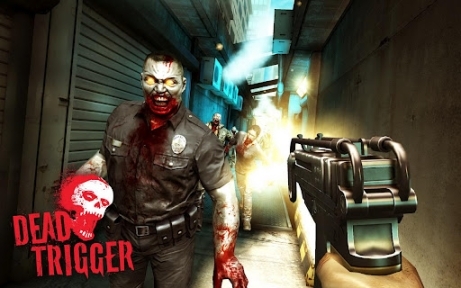 Following the announcement that the iOS version of Dead Trigger would follow the lead of the Android version and become free to download, Marek Rabas, CEO of developer Mad Finger, has taken to Gamezebo to write a post explaining the decision. "In the past, we were too busy developing games to be concerned about our games being stolen," he wrote. "Games are always stolen, there is not much we can do about it. I do not believe that piracy can be stopped. At the very least though, we can make it not as easy as it is at the moment. Just imagine if the piracy rate was 9:1 and ten players played your game. It would be enough to convince at least one pirate user to buy your game and "voila! ", immediately you would have doubled your money." After outlining what Rabas considers to be the myths surrounding piracy, he went on to discuss the rising costs of mobile games, and what platform owners can do to help protect developers. "At the moment, the cost of a mobile game is much more expensive than it was two years ago. As developers of games, we want to conentrate our time and dedicate ourselves only on games. We want to make them better than previous games." "This is why we need help with security from the companies who make the hardware. Their hardware is selling because of our content, and they should protect our games from being stolen. It's really good that Google and Apple are finally making some effort to deal with it. The same as Microsoft and Sony did in the past for their consoles." "And so, let's hope that this situation will get better and developers will be able to invest more money into games without fear that in the end most of the players will download it for free anyway."